The new Kérastase Blond Absolu range dares you and your clients to think differently about their blonde hair, bringing together independent women to showcase the full blonde spectrum and the comprehensive care it requires. With decades of luxury haircare experience under their belts, Kérastase shouldn’t have many firsts left, but the brand is doing something entirely new in 2019 – they’re going blonde. 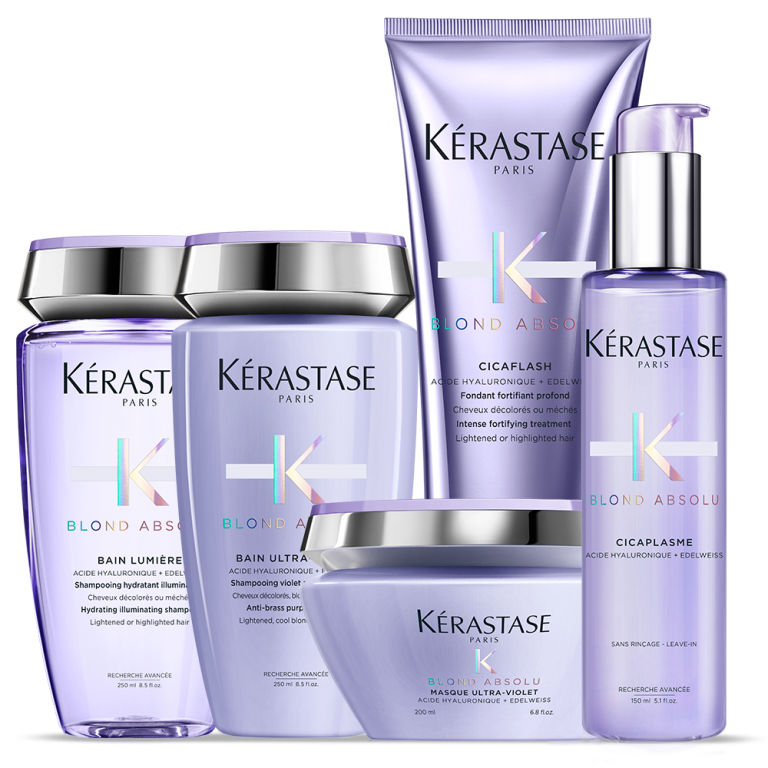 Kérastase are launching their first ever range to cater exclusively to blonde hair, with specifically ultraviolet care made for bleached hair. The range addresses essential needs for your blonde clients, such as fiber care and tone perfection, all packaged into an impressively customisable range that speaks to the full plethora of blondes that exist. Hyaluronic Acid acts as a hero facet, while the properties of Edelweiss Flower also ensure optimum care. The range promises both individual and illuminated blonde across the full scope of blonde. Kérastase is aware of the damage and broken integrity that happens during a blonde service, making care all the more paramount. The range targets issues of increased porosity, decreased vitality and unstable colour. The powerful fusion of active ingredients ensures it can dually care for the quality of the hair and the substance of the colour itself, utilising the skincare ingredient of Hyaluronic Acid with natural ingredients and Ultraviolet Neutralisers to ensure colour purity and ultimate care. Each blonde hue stays authentic and true to the tone your client chooses. The collection of six products are divided into rituals to bathe, treat and texturise the hair, all while reforming and illuminating blonde hair. Welcome the suite of products, each packaged in modern, luxury silver and lilac. Bain Lumière is the hydrating illuminating shampoo, which hydrates and treats the hair in a concentrated formula for soft hair, smooth fiber and brilliant colour. The Bain Ultraviolet anti-brass purple shampoo is specifically made with blue and purple colour to reduce brassiness for instant bright blondes, boosting colour luminosity in impressive fashion. 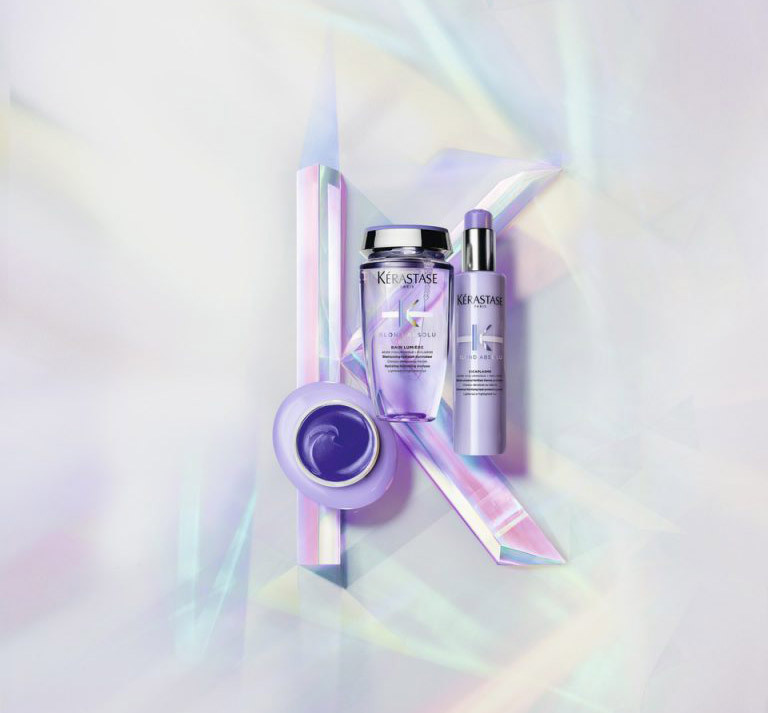 The brand’s Cicaflash is an intense fortifying treatment, a new hero product that has the texture of an opalescent gel. The product is able to treat like a mask but has the tactile functions of a conditioner, creating a lasting shield against erosion while also moisturising the hair in a weightless manner. The Masque Ultraviolet is an anti-brass product to neutralise colour and add luxury pampering to your clients’ hair rituals, in a rich, penetrative texture that ensures nourishment and radiance. The collection is finalised with Cicaplasme and Booster Cicafibre. The Cicaplasme is a universal fortifying heat protecting serum for stronger hair. It can be used on wet or dry hair to protect the hair from heat and allow for a smooth texture. The tool unifies damaged areas and seals the ends for comprehensive hair texture. The Booster Cicafibre is the all-new addition to the brand’s exclusive array of custom-blended professional treatments, collectively titled Fusio-dose. The formula contains vitamin E to rebuild the surface of the hair as a post-service fortifying booster, instrumental both in-salon and at home. These innovative products can be matched and utilised as necessary, and as prescribed by each client’s hairdresser, to cater to various types of blonde hues. Clients who individually wear highlights, extreme lightening, more traditional blondes and other variations will each require their own prescribed ritual as built by the versatile products. The brand’s bold campaign, titled #YouDareWeCare and #TheBlondeIDare on social media, congregates diverse and strong female influencers and entrepreneurs to delve into their diverse blonde looks and why they wear it. Models, vloggers, athletes, designers, bloggers and other inspirational women explain the personal value their blonde hair holds to them – such as the ability to be themselves, be confident, be strong and be free – before putting that value onto your clients to identify why they love blonde and what unique blonde hue they will choose. With this personal decision also comes the need to keep their blonde hair absolutely premium. From Marilyn Monroe-esque icons of our past, to continuous popularity on social media, blonde hair is more than a trend or even just a colour, it’s an attitude, a lifestyle and a statement – each look coded as unique, original and specific to the person who chooses to wear it. Kérastase speaks to that mentality with Blond Absolu, using clever and new-age technology for tailored hair and colour care, and working with the influencers and the mindset that continues to put blonde clients into salon chairs. Watch it fly off the shelf. professional stylists who can understand just what you need. Salon select members have met these standards, and will provide you with the very best in Hairdressing.